Four valleys on the Villa Ranch enhance superb big game hunting in prime habitat. Hunts are 5 days. Success rates are high. 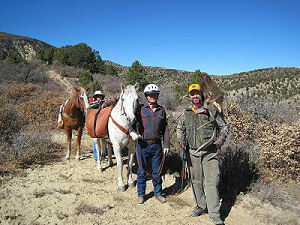 Game taken in the wilderness area can be packed out by our guides with horses as part of the hunt. Transportation of game to a local meat processing plant is provided. 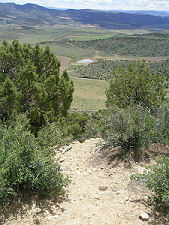 The adjoining Bureau of Land Management Windy Gulch Wilderness Study Area covers the next several ridges to the west (permitted area is about 13,000 acres). 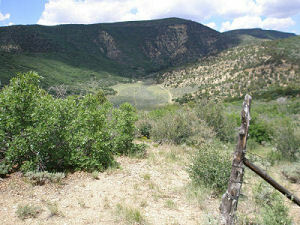 This high, rugged terrain is excellent elk habitat with the nearest water for game located on the adjacent Villa Ranch. No motorized vehicles are allowed on this portion of the BLM, but former jeep roads have become great walking and horseback trails. 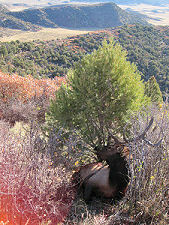 Hunters can access this area by foot or horseback only. Game will be packed out with horses. Riding horses will be based on availability. Lodging and great meals are provided in the ranch house/hunting lodge. For all day hunts, packed lunches and beverages will be provided. The lodge has telephone, Internet, large common areas, and three bathrooms. Assistance transporting game to a local processing plant. Non-hunting companions are welcome and will be charged just for the lodging and meals portion of a hunt (if space is available). Hunters only need to bring a rifle and personal gear. 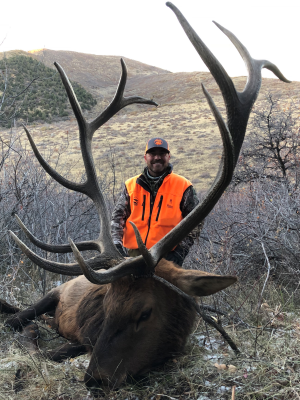 Not included in the price of the hunt: Hunting license; personal hunting gear or equipment; transportation from the airport to the Villa Ranch; cost of processing or shipping meat; or daily horse rental. Reservations are required. The hunt is reserved when a deposit is received.